Web Design Services Shelburne, ON – We Can Help! 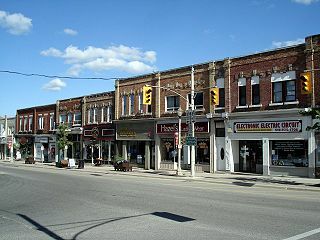 We can help you, from our office in Orangeville! Although located just down the road from Shelburne, we have a great deal of experience helping businesses throughout Dufferin County with web design and local marketing services. Since 1997, we’ve been building websites, providing SEO/local marketing services and managing servers for both new and established businesses in Shelburne, Orangeville and surrounding areas. As well as web design and development for Shelburne area businesses, we’ve also assisted non-profits in the town. can all be carried out from our Orangeville office. Of course, if you want to meet at your office in Shelburne, we can make arrangements for that as well. Presently, we’re assisting a dental office in the Town of Shelburne with both their website maintenance, Social Media campaigns and Local SEO. We’ve kept them #1 and #2 for the most important local search terms to their dental practice, and we can do the same for you, no matter what your business category. In addition, we’re also providing website hosting to some of your neighbours. If you’re heading towards Orangeville soon, give us a call to set up a meeting at our office here. If you’re experiencing some problems with your website and internet marketing in Shelburne, Ontario, we might be able to help you. Don’t forget that today, having a responsive website is extremely important for both search engine rankings and for ensuring usability and a “quality” experience for mobile device users. We’ve just helped a consulting and training business located just outside Guelph and launched their new responsive website that is also SEO optimized and they are already seeing the benefits with increased traffic and improved search engine rankings. Let’s find out if we can do the same for your Shelburne based business – give us a call today at (519) 940-3504!